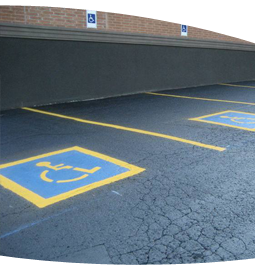 Pave-Tech has a large inventory of custom and standard stencils in stock such as Handicap Icons, Numbered & Alpha Characters, Phrases, & Directional Arrows. We can even custom order stencils to client specifications to accommodate for corporate logo's to be painted on to asphalt! 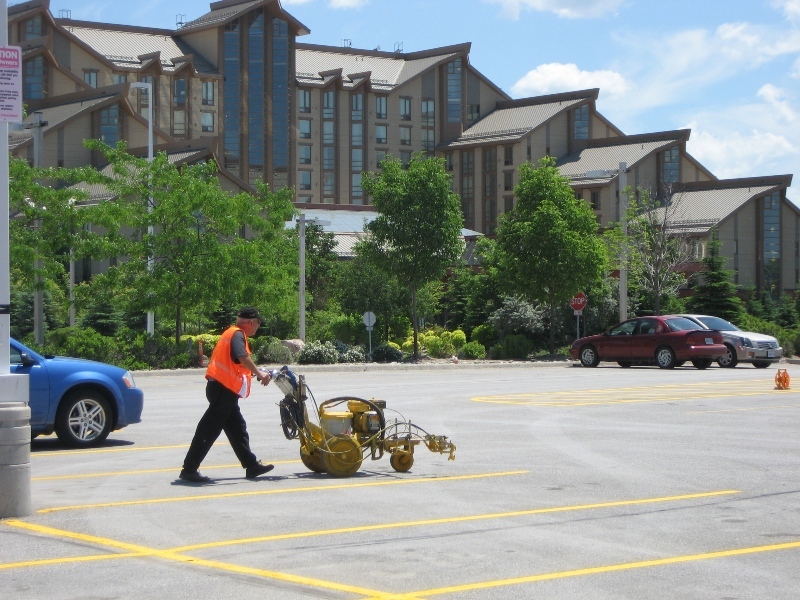 Whether working with your existing layout, or assisting you in developing a new layout, you can depend on our expert Pavement Marking Team to maximize your parking spaces, keep traffic flowing smoothly, and ensuring full compliance with any local By-Laws.